Protecting Kenilworth's floral assets the Elizabethan way! 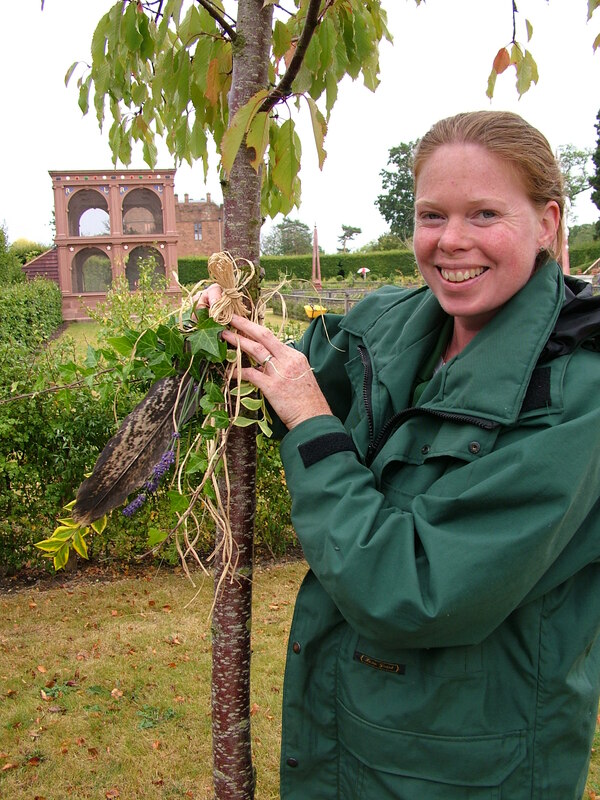 English Heritage is looking to history for avian inspiration to keep its recreation of the Elizabethan garden looking at its best at Kenilworth Castle for visitors this summer! This year’s weather, with an incredibly warm and dry spring and Kenilworth largely avoiding the heavy rains of July that have hit the rest of the country, has already caused some challenges for Kenilworth Castle’s head gardener, Fiona Sanders, leading her to turn to an Elizabethan gardening manual for inspiration to keep the garden in peak condition over the summer – whether that might feature fair weather or foul – testing out the idea that eagle feathers may provide magical protection from the elements! The four feathers will be mounted, along with a number of other herbs and plants that the 16th century gardeners believed would bring good luck, at the four corners of the Elizabethan Garden, although their efficacy will only be proven at the end of the summer. However, if the dry spell continues for Kenilworth Castle, Fiona may well turn to another of the book’s recommendations – an Elizabethan hand-operated water sprinkler system called the Great Squirt – to offer the thirsty plants some relief! Kenilworth Castle and the Elizabethan Garden are open daily from 10.00am to 5.00pm. Admission is £8.00 for adults, £7.20 for concessions and £4.80 for children, or just £20.80 for a family ticket (two adults and up to three children), or free for English Heritage members. This press release was distributed by ResponseSource Press Release Wire on behalf of Footprint Impression Management Limited in the following categories: Children & Teenagers, Entertainment & Arts, Leisure & Hobbies, Home & Garden, Environment & Nature, Travel, for more information visit https://pressreleasewire.responsesource.com/about.